Are you running any kind of business? Are you the one who is looking forward to get the best business phone provider for your business? If your answer to any of the above question is yes then you are landed on the right post...!!! When we are into any of the business, no matter how small or big it is, we need phone service to run that business. There are different needs for different business owners. Some may need voice over internet protocol, voicemail, call forwarding, conference calling, voice mail to text or email or toll-free numbers. Many people think that it is not possible to get everything at one place. But this is not true. There are some good business phone service providers worldwide who can give you all those things at one place in the different budget. We have researched many of them and the best 10 are the below service providers which we have found in our research. Grasshopper is virtual phone system which can help you to run your business via your mobile phones. To run your business with Grasshopper, you don’t need to change your phones. Your existing phone which is at home and your mobile phone will work. So you don’t have to install anything in order to use this service. Grasshopper allows you to create and customize extensions that will help you to forward calls. For your business presence, you can make toll free numbers also. The other services from Grasshopper are call forwarding, music on call, call screening, voicemail etc. This is the best service provider for small business because they provide plan which is based on the number of users in business. The smallest plan starts from the 5 users while the biggest plan can accommodate up to 100 users. The services which you will get for your business includes digital call forwarding, extension monitoring, call parking, call waiting, music on call, voicemail. Call recording and much more. You can choose the plan based on your needs and number of users. There are some small businesses which need live receptionist option. For those businesses Onebox is the best service providers from this list. Onebox provides all the features which are provided by other service providers but live receptionist option makes them great for small businesses. They answer the calls with a personal touch. They have 14 days free trial also. The plan starts at $49.95 / month for the phone portion and if you want live receptionist support then it starts from $169.95/month. All call technologies is a virtual phone system which also provides live receptionist. The great thing about live support is their support is quite professional. Their virtual receptionist answers all your calls with professional greetings and gives the caller various options. 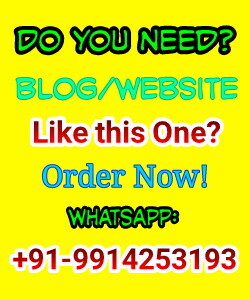 You don’t need to install any new thing to use this service provider. They have entrepreneur and partner plans which provide a central phone number to reach you, your staff and your partner via cell phones. Phone.com is market leading service provider which is having a cloud-based phone system. Their plans include online account management, unlimited extensions, advanced call routing, custom greeting to the customers, voicemail etc. They also have their iOS and Android app which allows your employees to place and receive calls, get text notification and do other stuff. The plan starts at just $9.88/month. 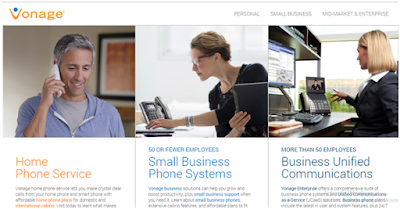 Vonage is probably as well known as Skype. 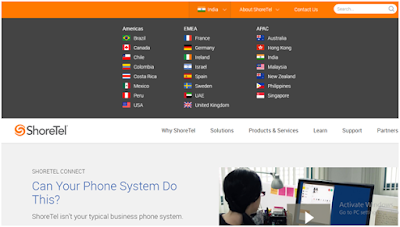 This is the first VOIP service providers that made it very easy to get a virtual phone system. You need to do an agreement for the first year usage of Vonage. The reason behind this contract is that they will send you a phone adaptor that allows any phone to be used on their Phone system. After the first year, the plan starts at $25.99/year. Kall8 is a wonderful service provider which provides toll-free numbers for your business. Their plans start at just $2/month. Then they charge on the basis of a minute. You can use the service of Kall8 to tie with your Google ads campaign to phone number and trace the ads which are performing well. The tools which are provided by Kall8 for online tracking are great. You can give a try to this service provider once. Cloud Phone Answering is a service for the virtual receptionist. They provide receptionist service where a friendly, professional receptionist gives the answer as per your need and handles all calls as per your requirements. With this service, you can allocate a local number which can be used by your clients and customers to reach you. You can also redirect any call to another number where the receptionist will give the answers. Virtual PBX is well suited for small businesses where there are few lines and few users. They provide the hosted PBX services which are aimed at the customers which have VoIP phones and looking for some low budget service. They have a free trial plan for 30 days and then their plan starts at $9.95/month. You can choose plans as per the number of lines. They provide unlimited minutes and extensions, toll-free numbers, virtual receptionists and much more. Shore Tel provides the great option for small businesses which allows them to use a cloud-based on-premise system that runs via company’s IP network. They provide services like auto attendant, full conferencing facilities, instant messaging, video chat, call blocking, call transfers, and other features. With Shore Tel, managers can also listen to their employee’s calls if needed. So the above are just 10 best business service providers for small and large businesses. There are the service providers which are well known, reliable and widely used by the current businesses. Each and every business will have their different requirements. So to choose any of the phone service providers first you should be clear with your requirements. Once you are clear with requirements then you can go and choose the service provider which fulfills them properly. Choose the best-suited plan for your business. If you like the above list then do share it with your friends and let them know the 10 best business phone service providers in the world. Message: I hope that you have enjoyed '10 Business Phone Service Providers Worldwide [For Small & Large Business]' article on Tips2secure. However, if you want me to deliver more items, then please share my post. You can use Social Sharing Widget provided at the end of every post. After all, Sharing is Caring! It works to verify facebook accounts?